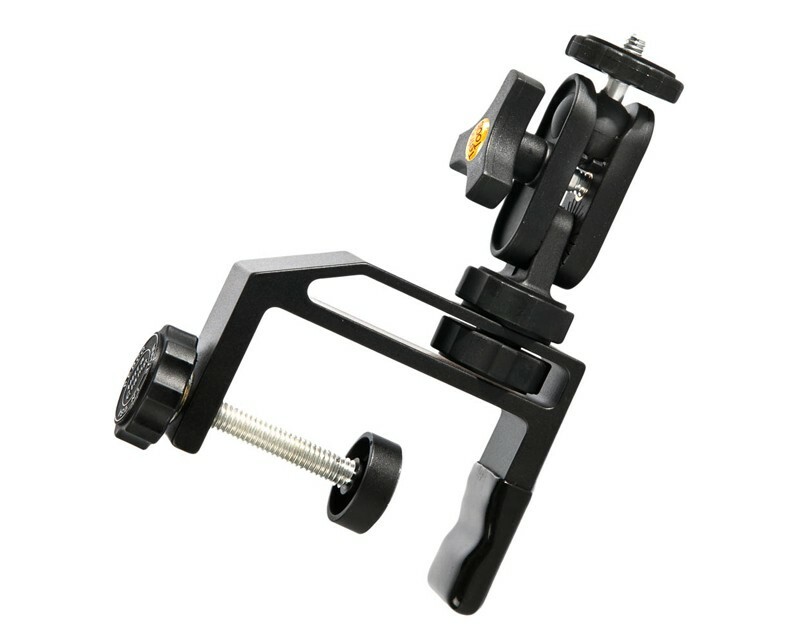 The Tether Tools EasyGrip clamp is perfectly designed to help mount an iPad, camera, or other gear onto any round or flat surface such as poles, handlebars, tables, and more. The Tether Tools EasyGrip clamp is perfectly designed to help mount an iPad, camera, or other gear onto any round or flat surface such as poles, handlebars, tables, and more. The EasyGrip is compact and lightweight, simple to use, and strong enough to support an iPad as well as most cameras, spotting scopes and camcorders. The EasyGrip attaches to round or flat objects from 0″” up to 4″ thick and comes in three different sizes, depending on the width of the stable surface being clamped. See size options below for EasyGrip specifications. The EasyGrip utilizes a standard 1/4”-20 tripod mount to secure an iPad with Wallee Connect or Connect Lite (sold separately). Most cameras (under 6 lbs) can also be mounted to the versatile EasyGrip. The ball and socket mount included with the EasyGrip provides an iPad and/or Camera a versatile range of positioning and viewing angles.